88% of scientists say GMO foods are safe; 37% of Americans do. An excellent editorial from USA Today. Americans love conspiracy theories: The 1969 moon landing actually occurred on a Hollywood set. Fluoride in drinking water was a communist plot. Paul McCartney is dead. Elvis is alive. Most of these kooky notions are harmless, but some are not, especially when people ignore overwhelming scientific consensus in favour of discredited theories or simple fear-mongering. For example, increasing numbers of parents refuse to vaccinate their kids, which opens the door for renewed outbreaks of dangerous diseases. Some politicians insist that human-caused climate change is a hoax, which impedes efforts to deal with the threat. And now, despite overwhelming scientific evidence to the contrary, most Americans believe that food altered by genetically modified organisms — GMOs — is harmful. Based on the misinformation, companies are beginning to ban food that contains GMOs. Burrito chain Chipotle is the latest, following General Mills’ decision to take GMO ingredients out of plain Cheerios last year. The companies say they’re doing the right thing for consumers. What they’re really doing is validating ignorance and hysteria. Science is losing the battle by a shocking margin. 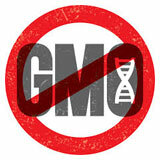 A recent Pew survey found that although 88% of scientists say GMO foods are safe, only 37% of Americans do. Much of this is a result of anti-GMO crusaders’ exploitation of mistrust about how foods are genetically modified. GMOs are essentially a faster and more far-reaching way of doing what farmers have been doing for centuries by cross-breeding strains of plants (or selectively breeding animals) to make them better and more disease-resistant. GMOs dramatically accelerate the process by inserting genes with a desired trait — bug resistant, weed-killer resistant, faster growing — into a plant’s genes. This is not to say that all questions about GMOs have been answered or that research should stop. But GMOs now account for more than 90% of US corn and soybeans, and hundreds of millions of people have eaten GMO foods for years without apparent ill effect. Amid the GMO alarmism, some food companies are taking a stand against a much more serious threat. McDonald’s, Costco, Tyson, Perdue and Chipotle have joined the move to phase out routine use of human antibiotics in poultry to promote faster growth. Overuse encourages the growth of drug-resistant super bugs that are a grave threat to human health. That’s the difference between solving a real problem and pandering to a made-up one, a distinction GMO renouncers apparently don’t get.